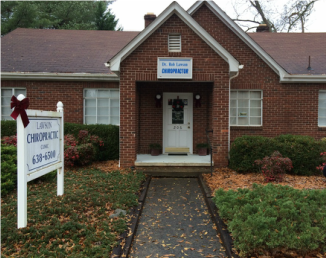 Walhalla Chiropractic clinic, formerly known as Lawson Chiropractic Clinic, has been serving the Walhalla region since 1996. Dr. Rob Lawson recently retired and turned his practice over to long-time friend and fellow chiropractor, Dr. Eric Lander and his wife Dr. Kristin Lander. A former Clemson University decathlete, Dr. Lander has a wealth of experience with all sorts of sports injuries first hand, which he has used as a springboard for understanding and treating his patients. He was a multiple time ACC conference champion in three Track and Field events including the javelin, pole vault and decathlon. Dr. Lander is a proponent of fitness for everyone at all stages of life. Health can be as simple as what you eat, and simple choices you make throughout the day. Dr. Lander can be seen around Walhalla riding his bicycle, unicycle or throwing javelins at the park. Dr. Kristin is co-owner and Clinic Director of Walhalla Chiropractic Clinic, located in Walhalla, SC. Whether you are dealing with chronic pain, an acute injury, or just want to stay healthy, Dr. Kristin has the tools you need to live your best life. This enthusiastic doctor enjoys treating patients with a variety of conditions including migraine headaches, numbness and tingling in arms and hands, shoulder injuries, herniated discs, arthritis, sports injuries and lots more. In her spare time, Dr. Kristin enjoys CrossFit, weightlifting, water skiing, snow skiing, mountain biking, and playing with her two rescue dogs, Francis and Penelope.